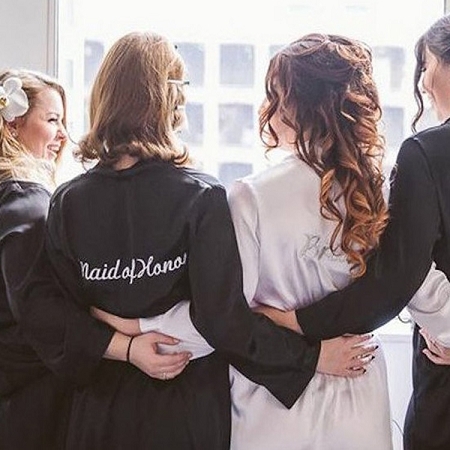 Bridal Party Robes make getting ready for your special day GLAMOROUS. 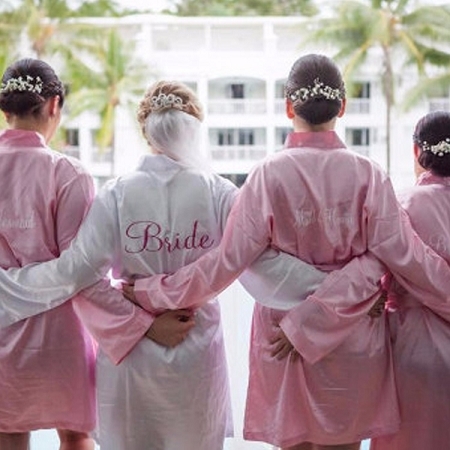 Awesome gifts for your bridesmaids! This listing is for the Monogram embroidered on the front left chest and/or the bridal party embroidered on the back. 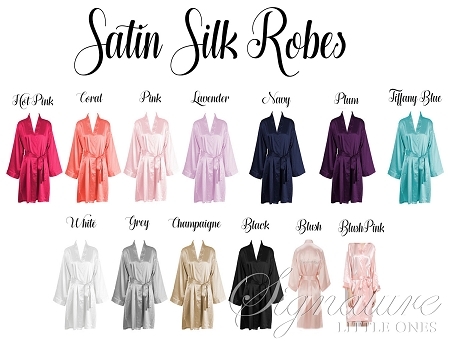 Made of high quality satin provides a silk feel. Perfect as gifts for your bridesmaids and the rest of your bridal party. 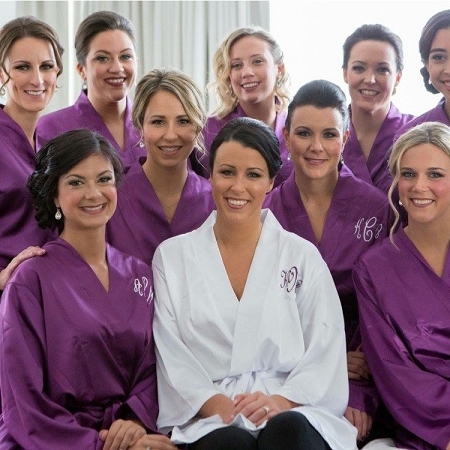 Perfect to get ready on your special day! Once ordered these cannot be refunded. Please ensure accuracy when filling out details.